CAUTION... this blog may contain some offensive material in some of the posts (but Im not one to judge others whatsoever). Since 2010 this blog is now an archive for upcoming movies or video games. For more current affairs, do check out my Facebook page, thanks. 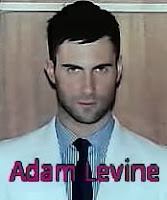 Maroon 5 lead vocalist and guitarist Adam Noah Levine was born on March 18, 1979, in Los Angeles, California. He began playing music with junior-high friends guitarist Jesse Carmichael and bassist Mickey Madden under the influence of groups like Nirvana and Pearl Jam, and after the final 1994 addition of Ryan Dusick on drums, the alternative rock band Kara's Flowers were born. The quartet scored a record deal with Reprise, released a mediocre album, and was released from its contract all in a matter of years. Following the termination of its deal, the band went on hiatus and Levine headed to New York with Carmichael to attend Five Towns College on Long Island. While there, he was exposed to a whole new music scene and absorbed new influences like hip-hop, soul, gospel, and R&B that changed Levine's whole perspective on songwriting, even altering the way in which he sang -- from a deeper, grunge-inspired delivery to a higher and more expressive one. Levine and Carmichael dropped out of school after a semester and headed back to California rejuvenated and inspired to add a new groove-based element to their band's rock template. Hooking back up with the rest of the Kara's Flowers guys, Levine began writing a bunch of songs that were directly inspired by his recently failed relationship, which was imploding as the band was entering the studio to record. After adding in new guitarist James Valentine (moving Carmichael over to keyboards) and scoring a new deal with Octone Records, the newly christened Maroon 5 were officially up and running; their debut album, the aptly titled Songs About Jane, was soon completed. Maroon 5 keyboardist Jesse Royal Carmichael was born on April 2, 1979, in Boulder, Colorado. His family relocated to Los Angeles and Carmichael, initially a guitarist, began playing music with some junior-high friends, singer/guitarist Adam Levine and bassist Mickey Madden, under the influence of groups like Nirvana and Pearl Jam. After the final 1994 addition of Ryan Dusick on drums, the alternative pop/rock band Kara's Flowers were born. The quartet scored a record deal with Reprise, released a mediocre album, and was released from its contract all in a matter of years. 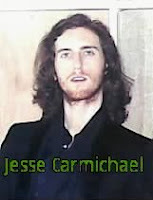 Following the termination of its deal, the band went on hiatus and Carmichael headed to New York with Levine to attend Five Towns College on Long Island. While there, the guys were exposed to a whole new music scene and absorbed new influences like hip-hop, soul, gospel, and R&B. Not only did the two friends gain a fresh perspective on songwriting at school, but Carmichael also started playing the keyboards. They only lasted a semester before dropping out and heading back to California rejuvenated and inspired to add a new groove-based element to their band's rock template. All of the Kara's Flowers members eventually met up and formed Maroon 5 with the addition of guitarist James Valentine, moving Carmichael over to keyboards. Maroon 5 bassist Michael "Mickey" Madden was born on May 13, 1979, in Austin, Texas. He began playing music with junior-high friends guitarist Jesse Carmichael and singer/guitarist Adam Levine under the influence of groups like Nirvana and Pearl Jam, and after the final 1994 addition of Ryan Dusick on drums, the alternative pop/rock band Kara's Flowers were born. The quartet scored a record deal with Reprise, issued a mediocre album, and was released from its contract all in a matter of years. Following the termination of its deal, the band went on hiatus, during which Madden briefly took some classes at UCLA. Before long, however, the guys had reconvened back in Los Angeles to begin writing new songs that featured more groove-based elements than their past songs. The group would reform with the addition of James Valentine (guitar), seeking a new record deal and formed the band Maroon 5. 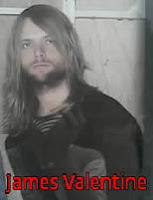 Maroon 5 guitarist James Burgon Valentine was born on October 5, 1978, in Lincoln, Nebraska into a Mormon family, attending church on a regular basis while growing up. First learning piano as a child, Valentine briefly tried out the drums before finally picking up a guitar and falling in love with it. He was a natural and was invited to play with the University of Nebraska jazz ensemble as a high-school student; in addition, he won plenty of music-related awards over the years and was offered various scholarships upon graduation. Valentine played in a few area bands as a teenager, and eventually relocated to southern California in 2000 with his band, Square. It was around this same time that the band Kara's Flowers were reexamining their musical direction and demoing songs for their new label. Valentine was introduced to the group through mutual friends, and though initially just asked to be their guitar tech during recording sessions, was ultimately extended a formal invitation to join. Valentine subsequently made his exit from Square following personal tensions with the other group members, and thus completed the newly christened Maroon 5. Maroon 5 drummer Matthew Flynn was born on May 23, 1970 in Woodstock, New York. Flynn spent time behind the kit with the B-52's and Gavin DeGraw prior to his work with pop/rock outfit Maroon 5. He initially stepped in on a temporary basis in late 2004 to help out the band after original drummer Ryan Dusick injured himself from constant touring and playing and was unable to perform. Flynn was called to learn the band's songs in just a couple of nights, and wound up sitting in with Maroon 5 for over a year before becoming a permanent member of the group in September 2006, after Dusick's injuries did not heal. Flynn is currently a Yamaha Drum Artist, and he currently plays a Yamaha Absolute Maple Nouveau drum set, complete with Sabian and Zildjian Cymbals, and Vater sticks. Flynn's recording debut with the band was on their 2007 sophomore album, It Won't Be Soon Before Long. I feel I also got to provide some info on the original drummer, even though he won't be coming over to Singapore today... after all, he is one of the founding members of the group. Born September 19, 1977, in Los Angeles, California, musician Ryan Dusick is best known as the original drummer for Maroon 5. He joined up with teenaged friends Adam Levine, Jesse Carmichael, and Mickey Madden in 1994 -- considered by those guys as one of the best musicians in school -- and together they formed Kara's Flowers. The quartet scored a record deal with Reprise, issued a mediocre album, and was released from their contract all in a matter of years. Following the termination of their deal, the band went on hiatus and everyone went his separate way. Eventually, though, the guys reconvened back in Los Angeles and set to work writing new songs that owned a fresh groove-based element dissimilar from their previous songs. After the addition of new guitarist James Valentine, the newly christened quintet Maroon 5 was officially born. Maroon 5 scored several hit singles, won two Grammy Awards, and toured constantly in support of Octone Records. However, the constant performing proved to be detrimental to Dusick, who wound up hurting his arm so badly from the continuous shows that he was forced to stop playing in late 2004. As he temporarily sat out to undergo tests and attempt to heal, Maroon 5 continued their heavy touring regime with a replacement behind the drum kit. Months passed and what once seemed like a temporary situation eventually, and unfortunately, looked to be more permanent. 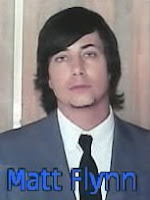 Drummer Matt Flynn, who had been filling in Dusick for over a year, officially replaced Dusick in September 2006. I lead a life less than ordinary, and I am always full of surprises. 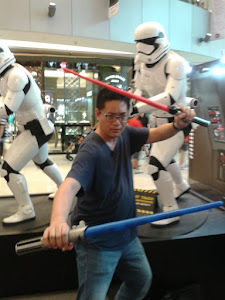 Not only am I a huge fan of Star Wars, I also like all things Marvel (X-Men, Spider-Man, Fantastic Four, etc), WWE and Mediacorp artistes too... top fave artistes include Joanne, Rebecca, Rui En, Cheryl, Jayley, Sora, Paige, too many to name! And one last thing, my name is pronounced as "tah-NUT" NOT "tah-net" or "teh-net" or "teh-nut"!!! Very funny Mas Selamat games and pictures!! Vote for Cheryl!! U Are The One debuts tonight!! Never wound what you can't kill!! Funny article on Singapore's Most Wanted!!! Gala premiere of "Rule #1"! WOO HOO!! I cant believe it!!! Fugitive on the run... citizens, be vigilant! !